If you've seen my posts the last two days, you know that I was getting ready for a giveaway! What's great is, the Lugz Zrocs and PJ Harlow pajama set are perfect to give as gifts to the ladies in your life: sister, mom, or friends! Don't you hate scrambling for a last-minute gift? We have the solution for you! You know what they all love, so if you have these tucked away ahead of time, you'll be ahead of the game. 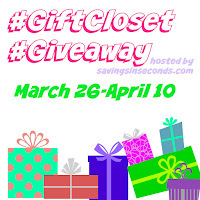 Welcome to the Gift Closet Giveaway Hop, an event sponsored by Savings in Seconds. 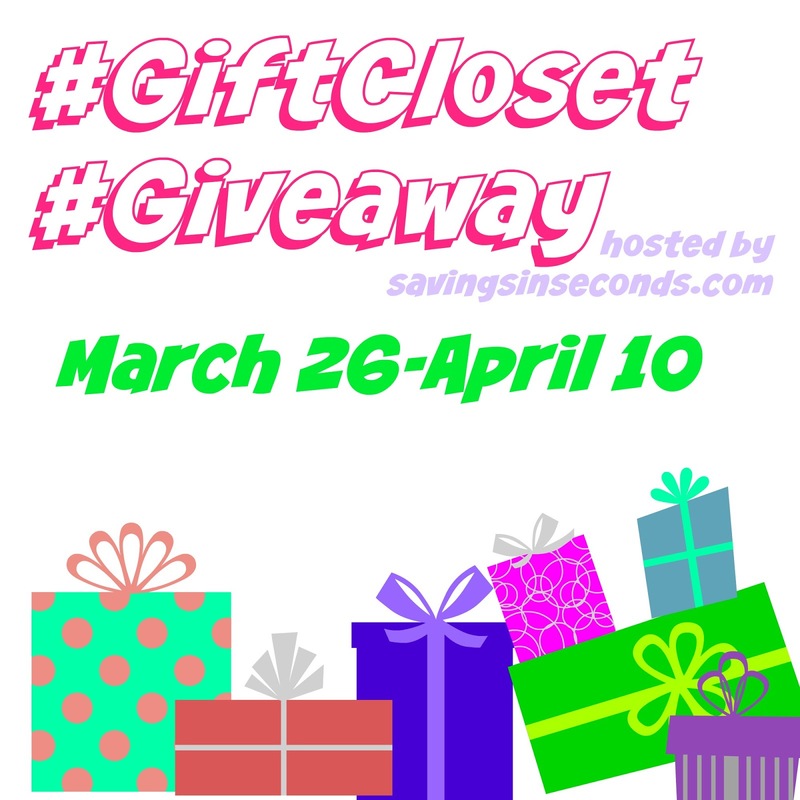 Each participating blogger wants to help you save time, money, and a little sanity by stocking your gift closet! Just hop to all the participating blogs for your chance to win great family-friendly prizes. Be sure to enter the Grand Prize giveaway, sponsored by Pfizer. Good luck! I'm giving away a pair of Lugz Zrocs (RV $59.99) and PJ Harlow Set (RV $152) to one lucky winner! a Rafflecopter giveaway Disclosure: The Gift Closet Giveaway Host & participating hop bloggers are not responsible for sponsors or self-sponsoring bloggers that do not fulfill prizes. I love the Shifter 6 CX in Rose Gold/ White. I'd love to own the PJH-Tia Fold Over Satin Pant. I like the Cora by Lugz. I like the Alyssa top. I like the Satin Hi-Low Cami With Side Slits. Love the PJH Daisy top and Dena bottom!! I also love the Kaya in Chestnut/ Natural/ Taupe/ Bloodwood. They are on sale too for half off right now!! I really like the Thora boot aand would love to get a pair for next winter. I like the Kiki 3/4 Swing Tee With Satin Trim from pj Harlow. I would like the DRIFTER LX from Lugz in COLOR: Raspberry/ White. I like the Mahala boots in charcoal. Would love to have those for winter! So much I love from PJ Harlow -- I prefer nightgowns, and like the PJH-Ruby. It looks so comfortable, and I like that it's knee-length. I like the PJH-Laura Satin Tank With Pleated Back in aqua! I like the Women’s Drifter Lx Raspberry/ White. I like the PJH-Mona Elastic Waist Knit Pant. I would love the Black Women's Mahlala Boots! They look so comfortable and warm! I love the PJH-Laura Satin Tank With Pleated Back! So pretty! I love the drifter LX in mulberry !! I love the Lugz Brigade Women's Boots. I like the PJH- Lucy top. I like the Jerry: a Satin Ankle Length Gown With the Pleated Back best. It's so cute and airy. I love the Gypsum Boys in black. My son would love this! I love the PJH-Jenn Rib Tank With Pointed Sides! I like the Cora in Earth Stone/ Russian Violet. I like the PJH-Alyssa top. I am in love with the Lugz Shifter boots! I like them in brown (or the light brown). I also love that they have such fun colors! God bless and Happy Easter everyone! I would LOVE the PJH-Calista Knit Pant With Draw String! I like it in Teal. So pretty, and they look so comfy. I would like to get Lugz's Women’s Zen Lo boot. I love the Tambora in charcoal. I like the gray tone of them a lot. I also love the design. I love the PJH-Lucy Oversized Rib Sweatshirt. It looks amazingly soft and comfy. I really like the uniprint sunset 1 tennis shoes. I like the PJH KIKI, 3/4 swing tee with satin trim. The Women’s Regiment Hi WR in Mulberry is really cute! I really like the PJH-Kiki 3/4 Swing Tee With Satin Trim and the PJH-Tia Fold Over Satin Pant. I'd like to have the Drifter LX in raspberry and white. I'd like to have the PJH-Mona Elastic Waist Knit Pant in aqua. I would love to have the SHIFTER MM in Copper/ Gum/ Red. I think they look really nice and would go great with jeans. Thanks. At PJ Harlow, I would like the Lucy-Oversized Rib Sweatshirt. It looks really comfortable. Thank you. I love the set you show in your review. I also like the Mona pants. At PJ Harlow, I would like the Satin Tank With Pleated Back. I like the OHM Chestnut Brown slip on shoes. They look so comfortable. I'd love a pair of the ZROCS. They look very comfortable. I'd want the PJH-Cami Knit Racerback Cami With Spaghetti Straps. These pj's look super comfy! I'd love the Drifter LX. I'd like a pair of the Lugz Women’s Laurel. I'd like the Satin Hi-Low Cami With Side Slits! I have always liked Tambora for hikers, the new Palm print sneaks are fabulous and so on trend! The high low top or the 3/4 sleeve night gown. I like the Raspberry/White Drifter LX. From PJ Harlow, I love the knit pants with drawstring. I know it wasn't part of your request but the nightgowns look super comfy. I love their Women’s Ohm in mahogany/brown - too cute! Thank you! I'd like to own their PJH-Kiki 3/4 Swing Tee With Satin Trim - pretty and comfy! Thank you! I like the PJH-Jackie Satin Hi-Low Cami With Side Slits. It looks very comfortable. Thanks for the chance. I'd love the PJH-Frankie top! So cute! Looks comfy too! I love the Shifter 6 boots in white and teal! gorgeous! I would love to have a pair of 'shifter' Lugz boots in wine/black...great color! I adore the Lugz TAMBORA WR Boots in White too! I love the uniprint sunset 2 tennis shoes. The colors are beautiful. I just love the shifter 6 boots in white and teal. COLOR: Chestnut/ Cream/ Gum boots from Lugz. Thanks. I'd love to have the Kaya COLOR: Chestnut/ Natural/ Taupe/ Bloodwood! I also like the PJH-Alyssa Swing Tank With Satin Ruffle! I also like the Uniprint slide ons in blue and white. Looks like spring. I like the Daisy or the Frankie top with long sleeves and a v neck. I like the shifter 6 in mars red. Pathway Lo 2 SR Charcoal/ Grey. PJH-Cece Satin Cami With Open Back. I love that PJ Lucy top and love that the pj's come in so many colors. Dark Silver would be my choice though. I like the PJH-Tia fold over satin pants. They are all very nice. I like the Drifter LX IN THE BLUE COLOR. LUGZ HAVE GREAT PRODUCTS. THANK YOU FOR THE ENTRY. I love the PJH cami. I could live in cami's if I didn't have to leave the house. I would love to have the Drifter LX in black/cream/gum! I need a pair of black boots! I would also love to get the UNIPRINT in COLOR: Maui Wowie/ White/ Glacier! I would also love to get the PJH-Jasmine Rib Cocoon Jacket With Pockets! I love this style PJH-Jackie Satin Hi-Low Cami With Side Slits, love the look on this one. I'd love to get the Lugz Ohm mocs in Mahogany/ Brown. I'd really like to get the Satin Cami With Open Back. I love the Shifter boots! I like the Tambora boots! I like the PJH Jenn Top. I like the Ohm slip ons! I'd love the Cora in black! I really like the Drifter LX in Raspberry/White for woman. I would pick the PJH Frankie. I really like that with a nice pair of jeans. The REGIMENT HI WR in mulberry are nice! I love the Kiki swing tee in aqua! I like the Brigade Hi TX in White the4 most of all items on the Lugz web site. My sister in-law would adore the PJH-Norah 3/4 Sleeve Rib Tee. Thanks for featuring the great stitching behind WbW. I would love the Drifter Black. I would like to own the PJH-Jordan Fold Over Knit Pant. I have wanted a pair of Lugz Drifters for myself forever!